Astute Announcement - Belfast Telegraph is GO! We are delighted to be partnering with Belfast Telegraph again for their promotional activity in 2016. We have got lots of busy weekends already our belts and LOTS more to come! 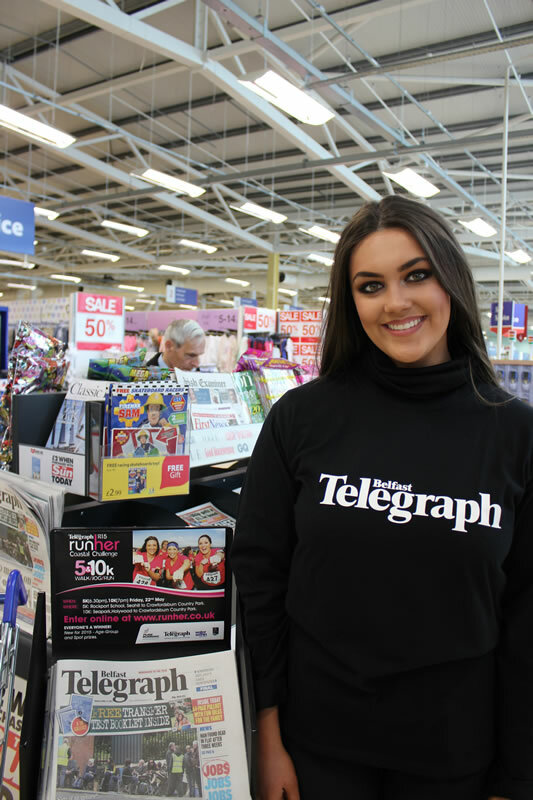 We have created an incredible core team of Belfast Telegraph Ambassadors who are delighting readers on a weekly basis with free gifts, ranging from women's novels to children's story series. Since The Tall Ships in Belfast last year, our activation relationship with The Belfast Telegraph has gone from strength to strength and we are super excited to be partnered with one of Northern Ireland's best known media brands! Keep an eye out in local newsagents, Spars, M&S, Asda and Sainsbury's for Team Astute!